Stellar Cabins Part 5 last and final. Busy week here. I got the quilting almost done on Charmed Stars. and also finished 2 lap quilts done called serendipity 1 and 2 by MSQC. 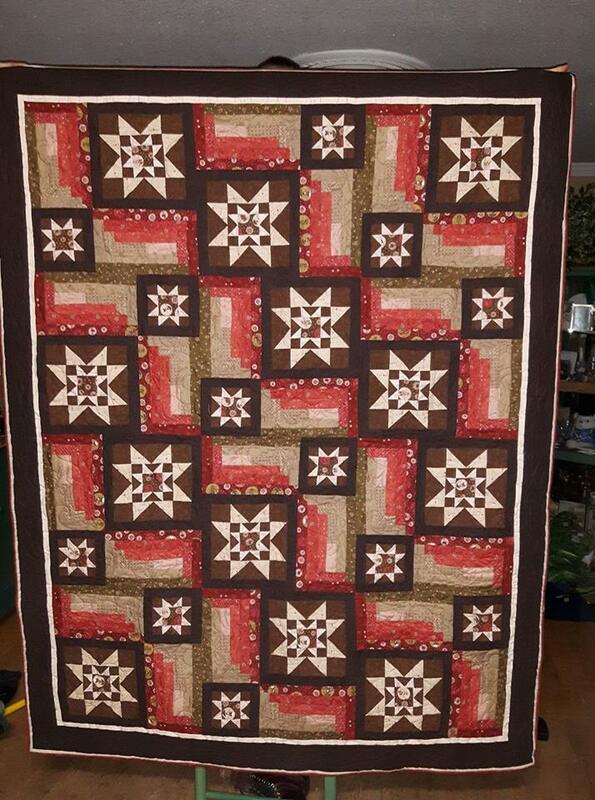 This quilt makes 2 at the same time… the leftovers from the block can be used to make a second quilt. I would have been caught up but I sewed the long cabins to the wrong side of the large star so now I have 12 seams that I need to get ripped out before I can proceed. this is some of the pictures that were sent to me of last weeks. Hope you all enjoyed this sew along..